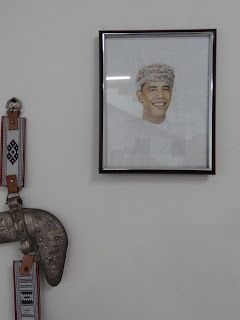 Today we (the American kids) went to the "World Learning Center", which is a fancy name for the building where foreigners - mostly Americans - come to learn Arabic and Omani culture. Getting permission to be let out of school was quite the adventure itself. Noah, Bailey and Jaira all came into the front office with our driver to "sign us out". The polar difference between my experience at free-for-all, anything-goes ABQ, and N.B.J. 's with Al Ibda'a is easily laughable. I'm pretty sure the receptionists at Al Ibda'a thought Noah, Bailey, and Jaira came right out of the depths of hell to cause chaos with their American ways, and temptation with their v-neck shirts. But we won't get into that. Despite our late entrance, we were able to take in a great deal of the discussions, and interesting speakers. So what were these presentations?? 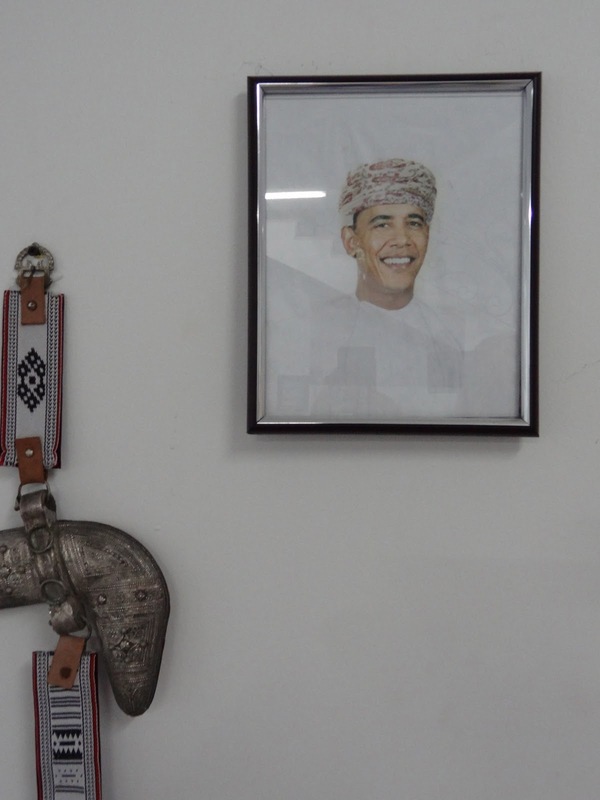 The American students attending courses in the World Learning Center were given the assignment of researching a social issue/aspect of Oman, and their conclusions on the topic. The knowledgable scholars spoke about Physical Disabilities (blindness), Marketing in Oman Business, Education in High School and the scarce Universities, Youth Organizations, and Human Trafficking/Workers Rights. We were enthralled. These presentations covered the questions we had been asking in our heads for a long time. Especially the Workers Rights Presentation, which included an explanation of the contract of Maids, and what the Minimum Wage, laws, and policies were. Because we spend every day with the Maids we live with, interest and empathy is inevitable. The presentation on Education was also extremely intriguing, because we were eager to see what this other woman had to say about the research and interviews she conducted. You'll like the one with Obama. It was just hanging on the wall there!!! Friends around the World: Even in South Korea!